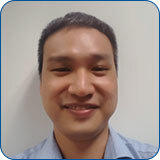 RoleJing Yao's role at TII is as an immunologist in the field of paediatric rheumatology (e.g JIA) and fetal development. Expertise includes high dimensional interrogation through the application of CyToF, next Generation RNA sequencing, Nanostring and FACS sorting. He is currently a team leader for several projects involving translational studies and one clinical trial cohort. Currently working onJing Yao is currently engaged in understanding how anti-TNFA biologics therapy (clinical trial by Prof Daniel Lovell, Cincinnati) impact juvenile idiopathic arthritic (JIA) patients in the aspect of disease resolution and CD4 memory persistence. Previously worked with Prof Maura (UCLA) and published on the investigation of pathogenic T regulatory population (iaTreg) in JIA patients with the aid of suppression assays. Separately investigating the micro-environment (synovial) driven mechanisms (through RNAsequencing) that help shape two dichotomous effector (CPL) and regulatory (iaTreg) pathogenic subset described in JIA. Direct collaboration with Femke’s group in Utrecht University on the common antigenic disease driving mechanisms across disparate anatomical synovial sites in JIA patients. Independently working with Prof Florent’s (SigN) and Prof Naomi’s (Cambridge) groups on healthy human Fetal T cell ontogeny and development. Prospective exploration of the diagnostic utilisation of serum auto-antibodies in collaboration with KK Woman and Children’s Hospital, Prof Tash and Dr Yeo Joo Guan (Rheumatology Dept) in systemic lupus erthymatosus (SLE). Jing Yao's research interests are…Jing Yao's interest revolves around utilising high dimensional immunological data sets to provide instrumental clues and translational insights to clinically relevant diagnostic and therapeutic questions (application of theragnostics). Long term wish tohelp facilitate the bridging of knowledge creation and translational application.